What do some of the industrial mishaps have in common? The causes of these accidents are often linked to sleep deficit and worker fatigue. A fatigued worker can adversely impact not just his own health, safety and efficiency, but the safety and efficiency of operation of the organisation as well. In order to combat fatigue, it is important to understand the causes of fatigue. A fatigue risk management system (FRMS) is an important tool in combating worker fatigue throughout an organisation and requires active participation from all members. In order to combat fatigue, we must first understand what it is. So what really is fatigue and how does it impact the workplace? Boring or repetitive tasks can intensify feelings of fatigue. They can cause the employees to feel like their job has no true meaning and they are not engaged enough. Fatigue can be classified as either acute or chronic. Chronic fatigue syndrome is the constant, severe state of tiredness that is not relieved by rest. The symptoms of chronic fatigue syndrome are similar to the flu, last longer than six months and interfere with certain activities. Fatigue manifests itself in various ways. Different people can have different signs of fatigue. Why is that? Sometimes, it is simply a matter of character and/or cultural differences. Some people consider fatigue as a sign of weakness and they are often unwilling to even recognise the symptoms themselves. Other people may take the individual symptoms and consider them to be the signs of other illnesses and conditions. It is hard to figure out if a person is irritable and tired because they suffer from fatigue or if they simply work too much. These are the general symptoms of the fatigue. However, if these symptoms are recognised and they are long lasting, it is time to consider looking for the symptoms of the chronic fatigue syndrome. Here is how you can recognise it. and a combination of these. Understanding the causes of fatigue will help workplaces find ways to combat it and to improve performance and reduce accidents. With the progress of the day, workers begin to feel tired. Their natural energy gets consumed and they find themselves putting in more effort and concentration into getting things done. Working in long shifts, without adequate rest or breaks or tackling tasks that require plenty of mental or physical exertion also put a strain on the mind or body leading to fatigue. A human body has its own internal body clock and circadian rhythm. These allow the body to make a distinction between night and day, with the night-time being designated for sleep, during which activity the body rests and recuperates for the following day. Any disturbance to body’s natural sleeping pattern and internal body clock, because of long hours, night shifts, intercontinental travel etc. 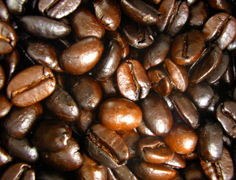 can cause fatigue. The imbalance between workload and staffing levels can lead to problems with shift work. Both scheduled or sudden absences of employees can cause the problems with shift work to worsen. The discrepancy between the published shift schedule and the actual shift schedule worked. This is because, in most 24/7 operations, the number of positions to fill on each shift is fixed. At the same time if the staffing level is below the optimal, then the employees in that operation have to put in additional hours or extra shifts to keep the number of positions filled. The state of the health of the worker can have a direct impact on the fatigue levels of a worker. Vitamin deficiencies, arthritis, thyroid, heart problems, diabetes, cancer and other such conditions can enhance the feeling of fatigue in the human body. Regular sleep is important for the body. Sleep disorders such as insomnia, sleep apnea, which prevent the human body from getting adequate or proper sleep can cause fatigue. Certain health treatments or medicines can cause disturbance to sleep as a side effect. Certain factors such as exposure to rapid changes in temperature, working in extreme environments, sitting near hot or cold air vents or ducts will enhance the fatigue levels of the body. Low lighting, glares resulting in eye strain, the presence of loud or constant noise results in people needing to concentrate harder in order to achieve the same output, causing fatigue to set in faster. How Can Workplaces Minimise Worker Fatigue? One of the ways employers need to take care of their employees is to try and eliminate the causes of fatigue. For this to happen, it is important to observe the workplace fatigue as both psychological and physical issue and try to solve the both sides of this problem. Therefore, it is important to have a long term and elaborate plan. Namely, what every company needs is a Fatigue Risk Management System. It needs to involve both improvements of the workplace, shift work, workload and even to include some “work-life” programs. Companies could offer “work-life programs” to help employees balance their work and personal responsibilities and take steps to improve assessment and treatment for the large subgroup of workers who have fatigue co-occurring with other health conditions. The most effective method to minimise worker fatigue is through a comprehensive Fatigue Risk Management System. A process for the internal and external auditing of the FRMS that delivers corrective actions through a continuous improvement process. An FRMS requires a senior manager to be ultimately accountable for managing fatigue risk. However, all key stakeholders need to be actively engaged. A positive organisational culture where employees and management trust one another and where information about fatigue is openly reported is important to the successful implementation of an FRMS’ is key for a successful FRMS. As with the management of all risks, however, there is not a ‘one-size-fits-all’ solution and the FRMS must be developed in response to the needs of the industry, the regulatory environment and the organization in which it applies. Besides these, it is important to make workers as comfortable as possible. Some of the ideas are to ensure ergonomic tools, furniture and equipment which reduces tiredness and awkward body postures. 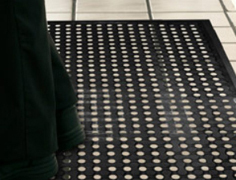 Cleanliness and hygiene of the workplace are also important for the employee comfort and satisfaction. Some companies even go for scenting their offices since some soothing scents can reduce stress and fatigue. Improve your staff efficiency by reducing health issues caused by prolonged standing. Ensure refreshing, soothing or invigorating scents for your workplace. Make your workplace comfortable and pleasant for employees and visitors alike. How Does Fatigue Impact the Workplace? It is difficult to quantify and measure fatigue. Because fatigue cannot be “measured”, it is difficult to separate the effects of long working hours or lack of sleep to any changes in accident or injury rates. Researchers led by Judith Ricci, Sc.D., MS, of Caremark Rx Inc., conducted a study of the relationship between health and productivity at work. The study examined the effects of fatigue on health-related absenteeism and “presenteeism,” or days the employee was at work but performing at less than full capacity because of health reasons. Nearly 29,000 employees were interviewed for this study. 38 percent of them said they had experienced “low levels of energy, poor sleep or a feeling of fatigue” during the previous 2 weeks. Total lost productive time averaged 5.6 hours per week for workers with fatigue whereas it was 3.3 hours for their co-workers who had not experienced fatigue. The study said that the main ways by which fatigue reduced performance was through reduced concentration and by increasing the time needed to accomplish tasks. With adjustment for other factors, fatigue was more common in women than men. Workers with “high-control” jobs – relatively well-paid jobs with decision-making responsibility – also reported higher rates of fatigue. Consequently, fatigue causes people to get hurt more easily. As an employer, you need to make sure that all the precautions are taken to help those that are hurt. This means enough First Aid Kits, as well as enough employees trained in First Aid. 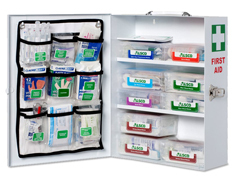 Regularly stocked First Aid Kits. Different kinds. Always up to date with the laws and rules. 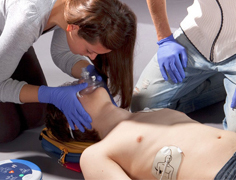 Equip your staff with relevant and up to date First Aid skills. Improve workplace safety. 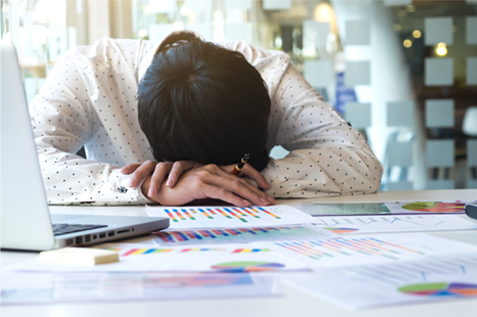 For U.S. employers, fatigue carried overall estimated costs of more than $136 billion per year in health-related lost productivity – $101 billion more than for workers without fatigue. What is even more noteworthy is that 84% of those costs were due to reduced performance while at work, rather than absenteeism. Despite all the best efforts of your management and the organisation, accidents due to worker fatigue may still happen. Emergency response procedures are required. Every organisation is required to have people trained in first aid and superior quality, hospital- grades supplies that are clearly organised in a wall mounted first aid kit in order to supplement their efforts. Does your workplace have these? Not sure what to do? 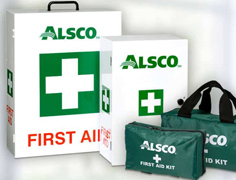 You can get these by simply visiting the Alsco First Aid Kit webpage and subscribing to our service online. Create a safer and fatigue-free workplace for your employees. do not hesitate to call us on 1300 077 391 and ask us how we can help. Photo courtesy of Freepik Images by ijeab.